New design Triton cap provides metered release of solvent and eliminates any spillage.Nonflammable, Nonhazardous Replacement for IPA (Iso-Propyl Alcohol). New design Triton cap provides metered release of solvent and eliminates any spillage. Nonflammable, Nonhazardous Replacement for Iso-Propyl Alcohol (IPA) -Fast Drying -Dissipates static for easy removal of particulate -Leaves terminus end-face electrically neutral preventing particulate attraction -Safe on Plastic, Optical Fibre, Metals, Glass and Coatings -More than 650+ cleans In each pocket-sized, non-pressurised canister. 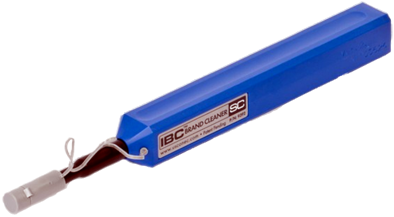 Sticklers® Fibre Optic Splice & Connector Cleaner is an precision cleaning fluid specifically engineered for fibre optic connectors, termini and bare fibre. 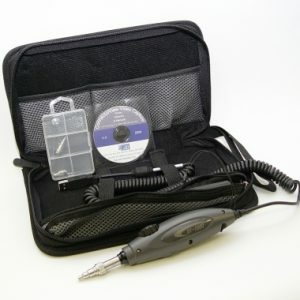 The Sticklers® Fibre Optic Splice and Connector Cleaner is most effective when used with the Sticklers® CleanStixx™ cleaning sticks, CleanWipes™ cleaning wipes and CleanClicker™ fibre optic cleaning tools. 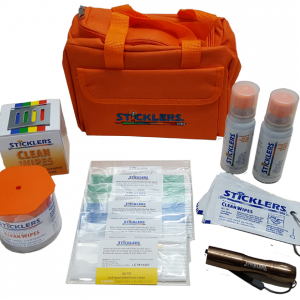 What Sticklers® fibre optic cleaning products do I need to clean my termini? 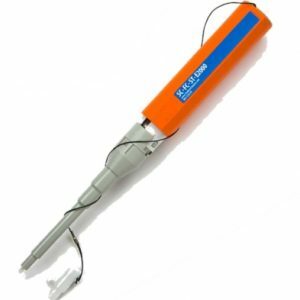 What are the best methods for cleaning fibre optic termini? 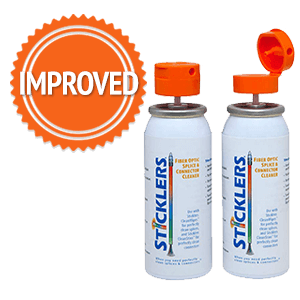 Can Sticklers® Provide me with the Best Cleaning Solution?